At the beginning of each October, my university has a so-called “fall break” which is actually nothing more than a 3-day weekend. I’m totally on board with the idea of this mini-vacation, but its actual application seems pretty half-hearted. If you’re going to call it a break, make it a break! Three days was just long enough for me to make the 7-hour journey home, collapse into relaxing familiarity for 40-some hours, and then tear myself away to drive all the way back to school. It felt more like a teaser than anything else, especially for a homebody like myself. Still, I’m grateful for my brief recharge at home, and I need to keep reminding myself that relaxation often morphs into boredom after too many days. Okay, maybe not 2 measly days, but let’s stay positive! One of my projects during my time at home was to re-stock the freezer with easy grab-and-go breakfasts for my mom. She’s not exactly a morning person, and I know for a fact that breakfast is virtually the last thing on her mind as she gets ready for work. You know someone like that, too? Good. Make them these muffins! 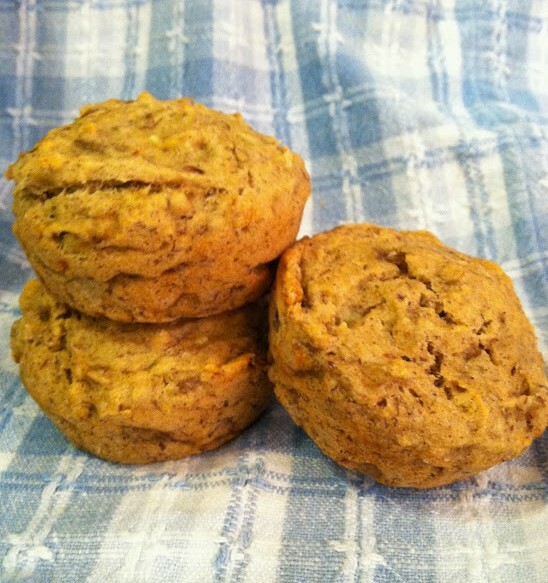 These Banana Flaxseed Muffins are perfect for a quick, healthy breakfast. I like to make a full batch ahead of time and store them in the freezer for those busy mornings. They can be made gluten-free, but you can also use a mixture of whole wheat and all-purpose flour if gluten isn’t an issue. 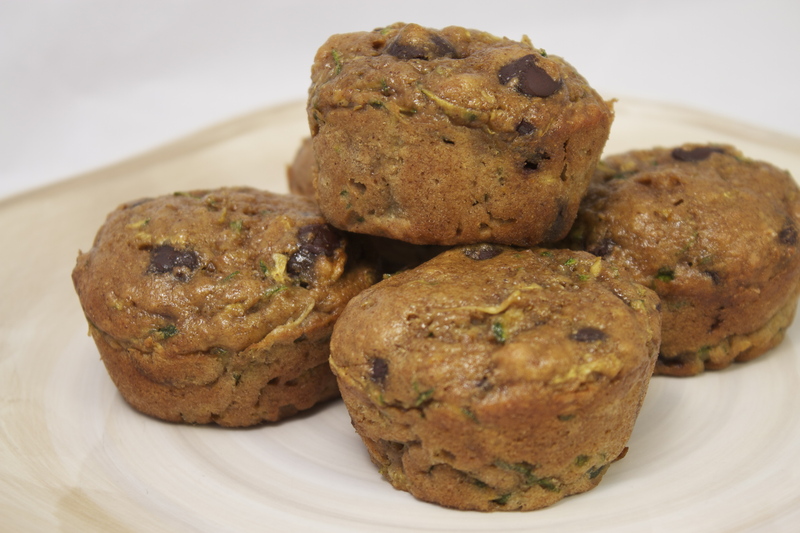 Unlike so many muffins that are basically frosting-less cupcakes, these are full of healthy ingredients to give you an energy boost without the crash. 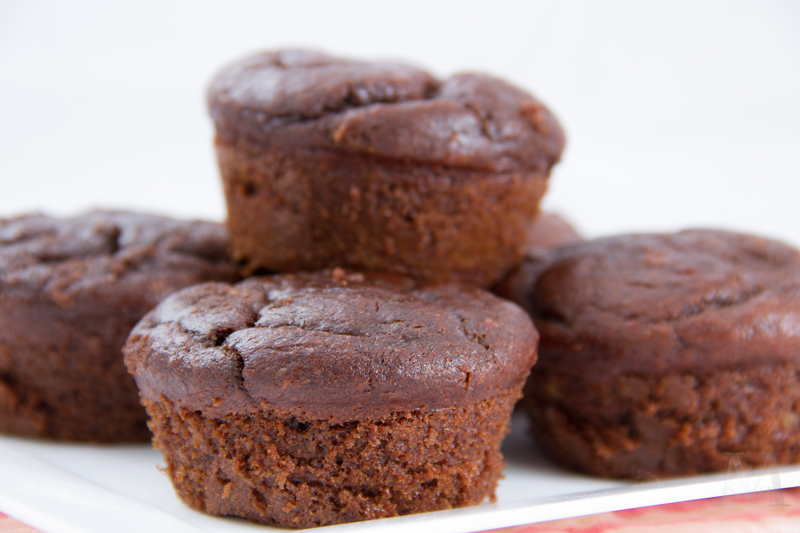 Bananas serve as the main sweetener, and they also lend the muffins a soft, moist texture. 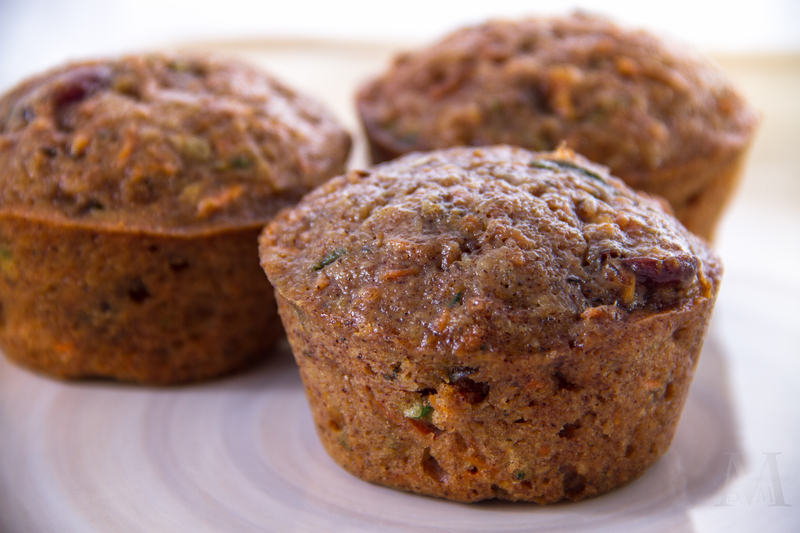 Flaxseed brings in some heart-healthy fat, and warm spices give the muffins extra flavor. You can even make them vegan by using agave nectar and soy or almond milk! I love knowing that my mom now has a few weeks’ supply of muffins for breakfast, settled right next to the chili I made for my dad (which he will most likely not eat for breakfast, just so we’re clear). I’m sure they’re capable of fending for themselves (after all, they managed just fine until I came along) but I also know how much they miss my cooking and baking! 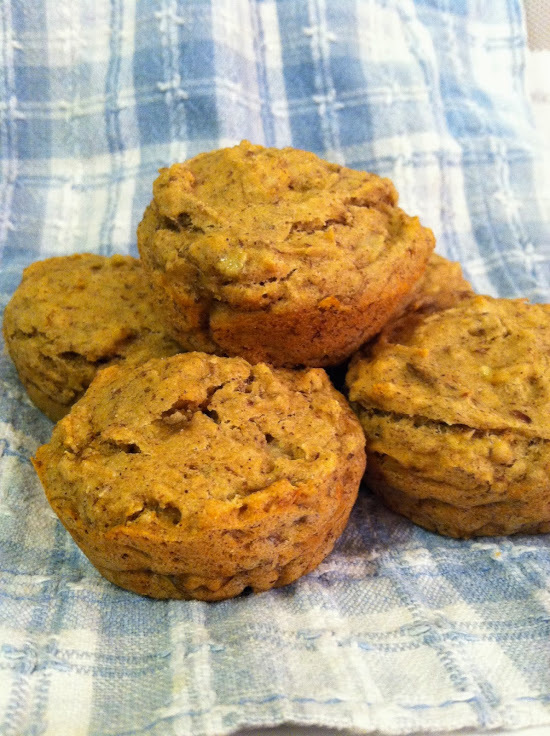 Make your own friends and family happy by baking them a batch of these Banana Flaxseed Muffins. There’s nothing like a pre-made, homemade, healthy, on-hand breakfast to show them that you care! 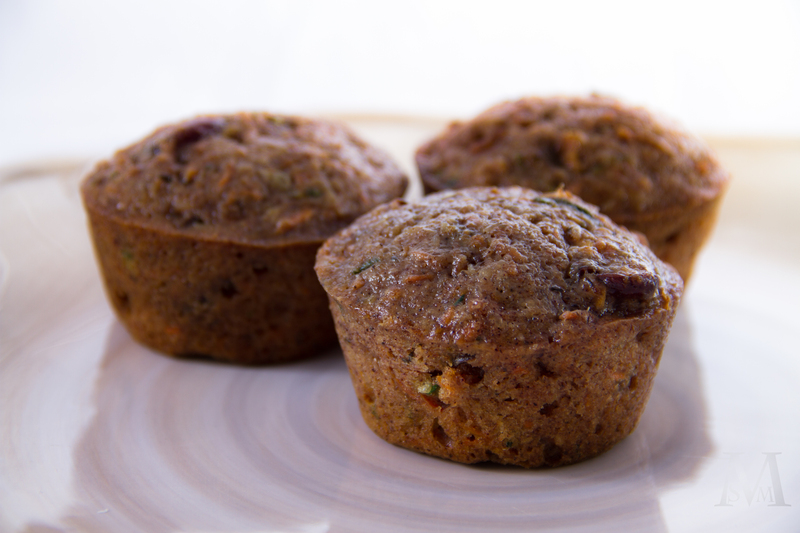 Preheat oven to 400 degrees F. Line or grease a 12-cup muffin tin and set aside. In a large bowl, whisk together the flour, xanthan gum, baking powder, baking soda, salt, cinnamon, and nutmeg. Set aside. In a smaller bowl, whisk together the mashed bananas, milk, oil, agave, vanilla, and flaxseed. Using a rubber spatula, fold the wet ingredients into the dry ingredients just until no flour streaks remain. Scoop the batter evenly into the muffin tins. Bake for 5 minutes, then reduce the oven temperature to 350 degrees and bake for an additional 13-17 minutes, or until an inserted toothpick comes out clean. Let the muffins cool in the pan for 5 minutes before removing to a wire rack. Another good name for these muffins would be Everything-but-the-Kitchen-Sink Muffins. I’m not quite sure who came up with that phrase to describe recipes that are full of add-ins, but I just like the sound of it. I suppose the phrase could have been everything-but-the-oven-door or everything-but-the-moldy-cheese, but someone chose “kitchen sink.” I can’t say it makes much sense, but people get what you’re talking about and it’s a lot more fun to say than “muffins filled with a whole bunch of stuff.” However, just in case someone out there read the title and got confused and pictured a batch of muffins made with dirty sink-water or something, I stuck with Loaded Morning Glory Muffins, which also has a nice ring to it. Very glorious-sounding, I’d say. And so concludes the end of my unnecessary thought process. 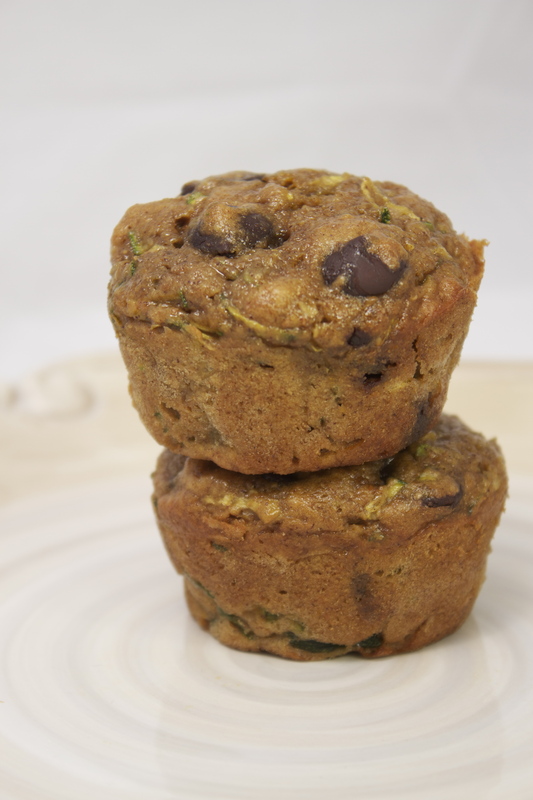 These muffins are based off of the infamous Morning Glory muffin…you know, those bakery muffins that are the size of your head and lumpy and brownish and full of peculiar objects? 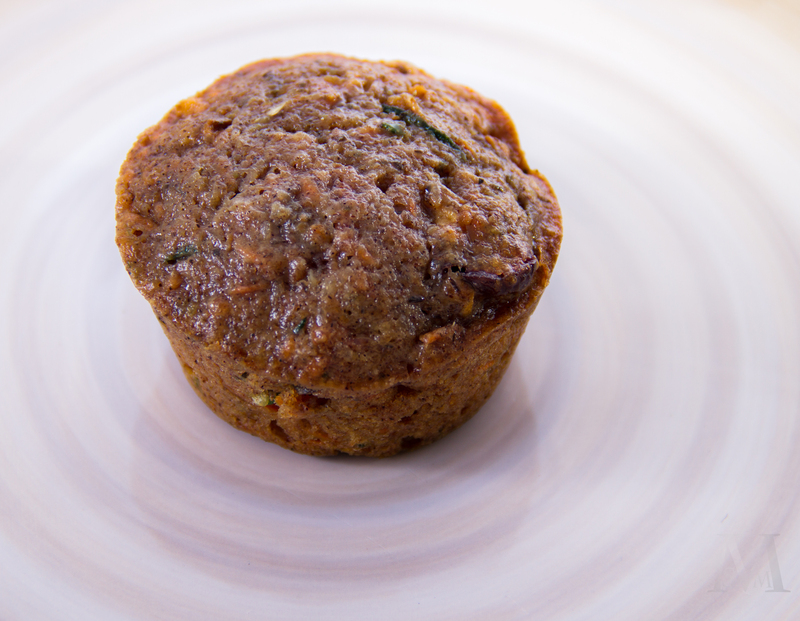 The the kind of muffin that your mom always chose and offered you a bite of, leading you to politely shriek “no, thank you!” while stuffing your face with your favorite blueberry-cream cheese muffin? You know those ones? Needless to say, Morning Glory Muffins never much appealed to me throughout my childhood but now I can’t get enough! They’re packed full of carrots, zucchini, shredded coconut, dried cranberries, chopped apple, applesauce, flaxseed, and nuts (although I left those out in my version for no good reason other than not having any). I’ve seen some recipes that include diced pineapple as well, but I figured I had to stop stirring things in at some point. Not to mention that I didn’t have any pineapple, either. Preheat oven to 350 degrees F. Grease or line muffin tins and set aside. In a large bowl whisk together the flours, sugars, baking soda, salt, and cinnamon. In a smaller bowl whisk together the eggs (and flaxseed mixture, if using), oil, applesauce, buttermilk, and vanilla until smooth. Pour the wet ingredients into the dry and stir just until combined. 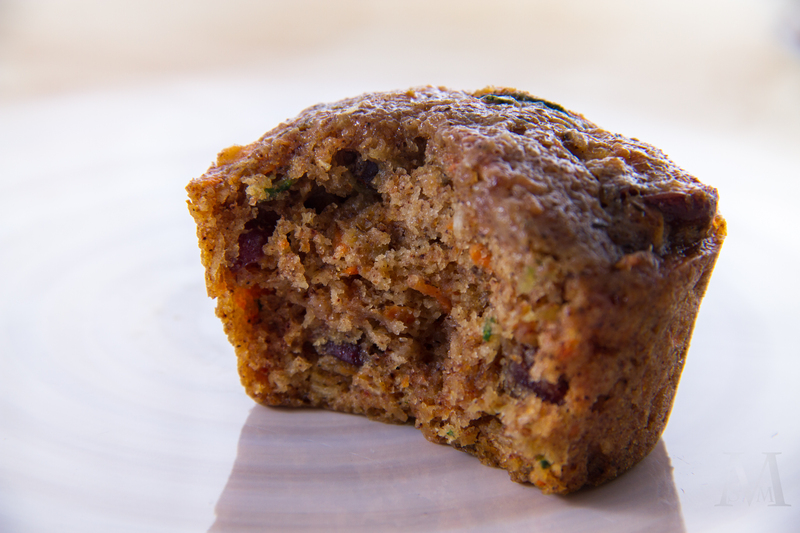 Fold in the chopped apple, shredded carrots/zucchini, coconut, cranberries, and nuts. 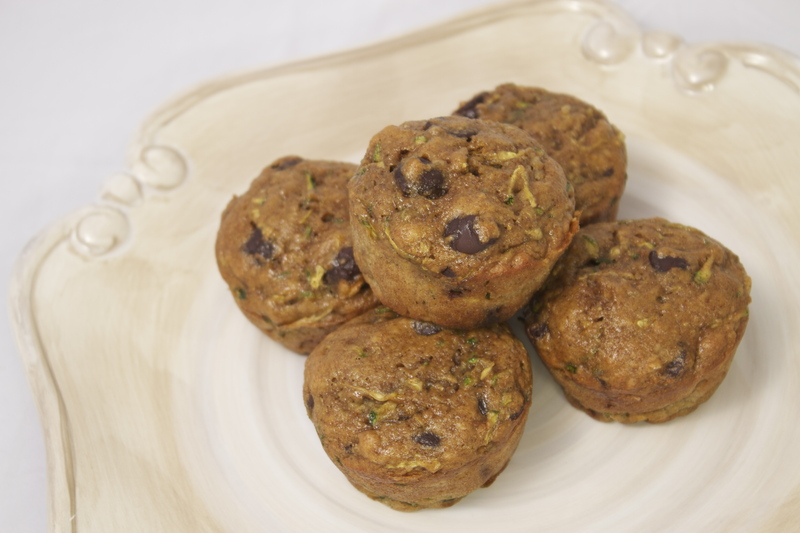 Scoop the batter into the prepared muffin tins, filling 3/4 way. Bake for 18-22 minutes or until an inserted toothpick comes out clean. 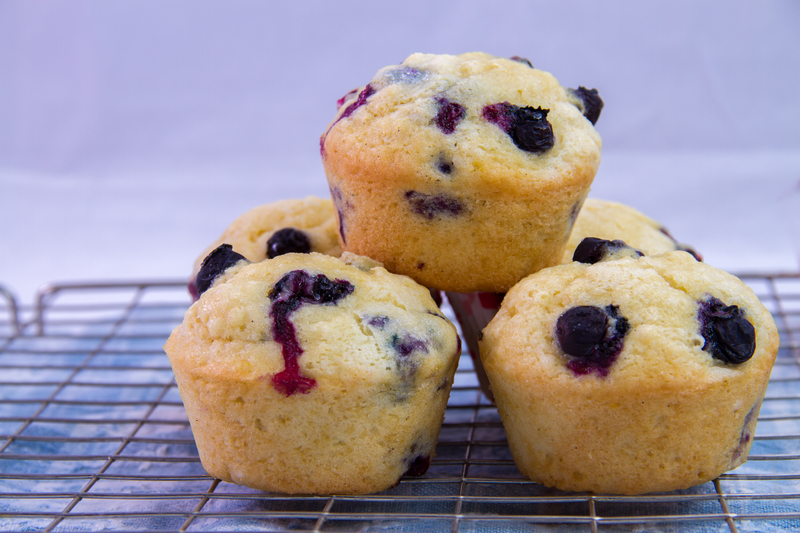 Let the muffins cool in the tins for 10 minutes, then carefully move to a cooling rack. Store in an airtight container at room temperature. These muffins were made with my mother in mind. My poor gluten-free, dairy-free mother, who has to watch as piles of cookies, ice cream, brownies and other taboo treats fill our kitchen, knowing she can’t have them. She never complains, not once, but I try to make sure that I create a fair share of gluten-free, dairy-free baked goods as well. The last mom-friendly treats I made were these awesome little energy balls, but they were eaten up in approximately 12 seconds, give or take a couple days. The problem with gluten-free treats is that they are also accessible and perfectly acceptable to the gluten-eaters in the house, and unless I clearly label treats as being “FOR MOM” (or hide them), they disappear way too quickly. 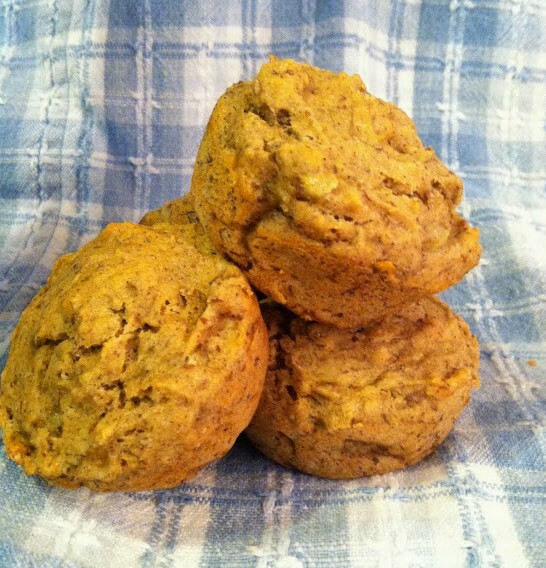 Which is why, after the last three blog posts centered around cookies and ice cream, it was time to make these muffins. 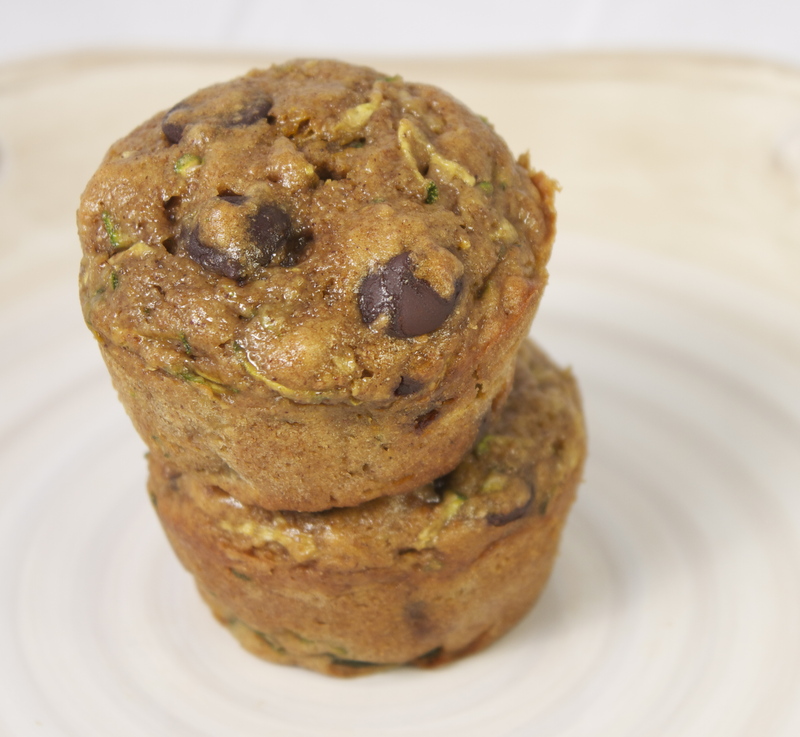 What these muffins do have: peanut butter, chocolate, & banana (one of the ULTIMATE flavor trios), heart-healthy flaxseed, and a handful of other healthy ingredients. 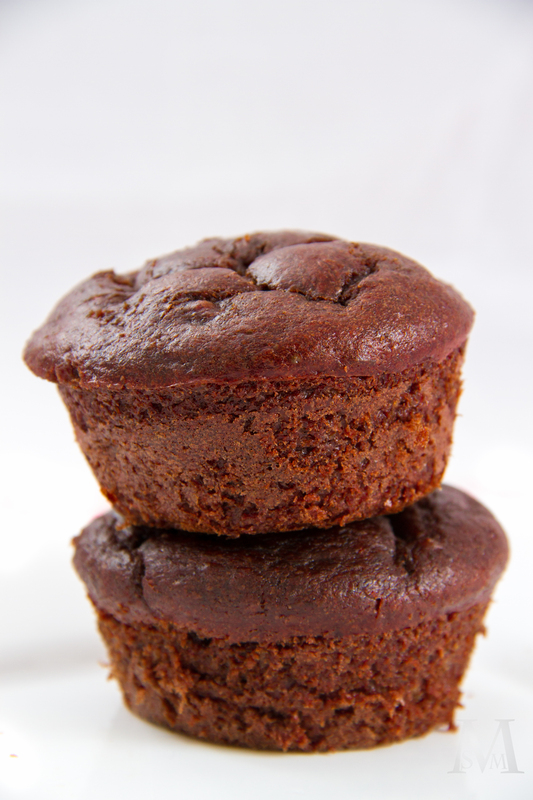 What these muffins do not have: FLOUR, gluten, dairy, or more than two tablespoons of refined sugar. 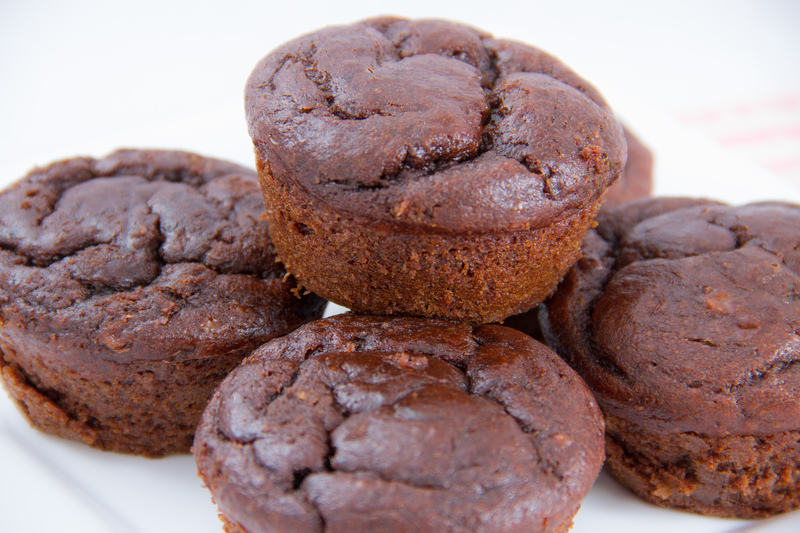 What these muffins require: a bowl, a spoon, a muffin tin, and some measuring cups. That’s it! 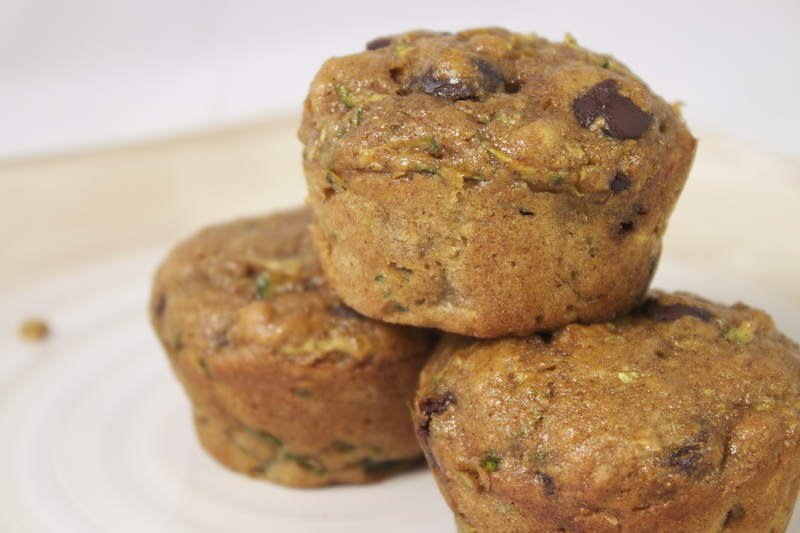 They don’t require worrying about over-mixing (which can create tough muffins, but ONLY if there’s gluten involved) or dirtying up a million little bowls and spoons. 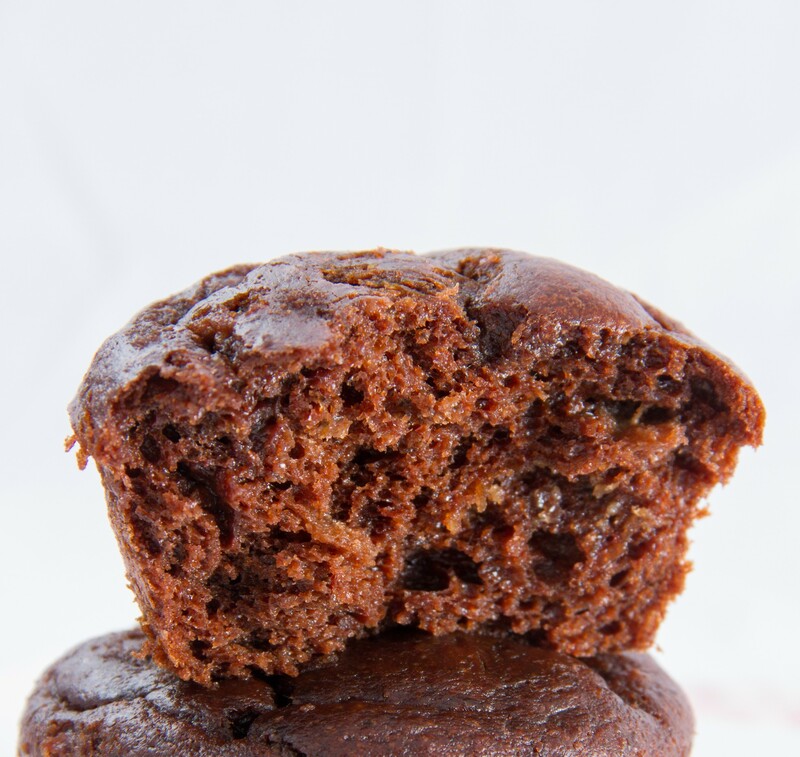 Easy as cake muffins! 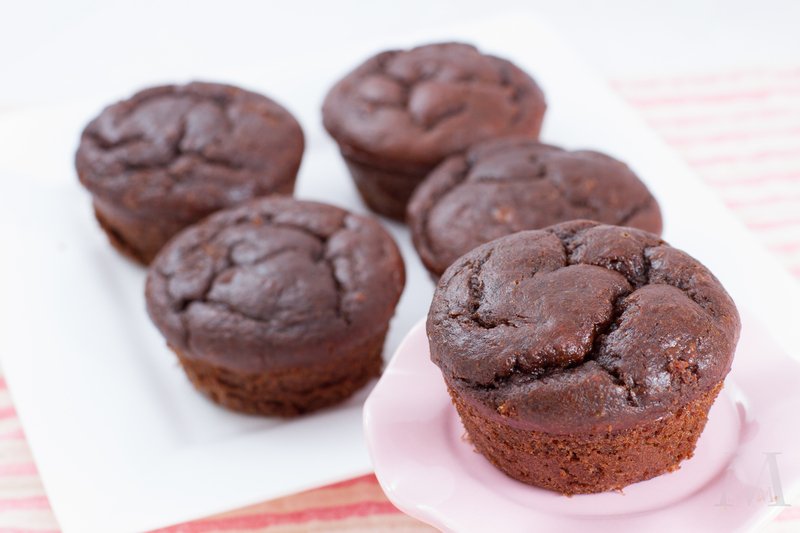 The best part is that, despite their considerably healthy list of ingredients and their lack of flour, these muffins are not lacking in flavor or texture! They have a wonderful soft, dense-yet-springy texture and are smooth and rich. The peanut butter/chocolate/banana flavors really shine through, and the muffins are full of flavor but not overly sweet. They were a huge hit in our house for both the gluten-free eater (my mom) and all the other eaters. They were so popular, in fact, that I had to take my mother aside and let her in on my little secret: I had snatched a few muffins from the communal container and hidden them away in a tupperware in the freezer. That way she could snack on them whenever she saw fit, safe from all other muffin-eaters. 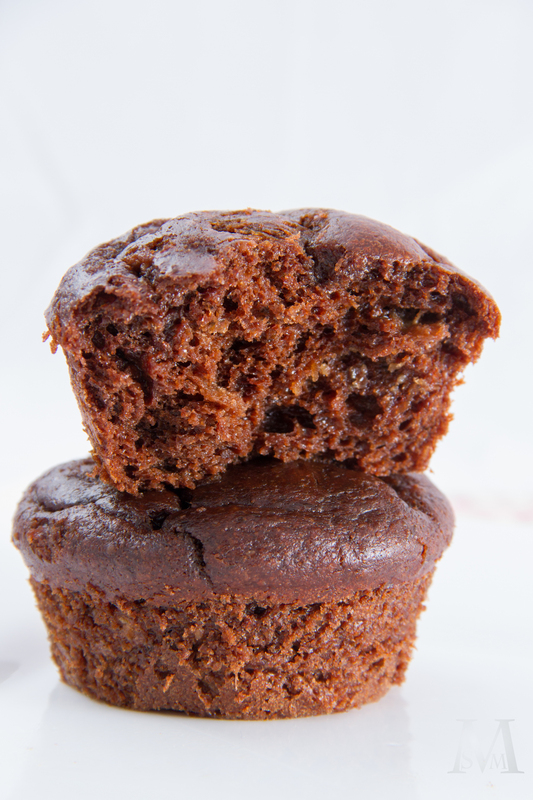 If you feel the need to hide away a few of these muffins for yourself, you won’t see me judging you!! Preheat oven to 425 degrees F. Grease or line a 12-cup muffin tin. Mix together all of the ingredients in a large bowl until well-combined. Divide evenly among muffin cups, filling about 3/4 of the way. Bake for 5 minutes, then decrease oven temperature to 350 degrees. Bake for an additional 10-15 minutes, or until the muffin tops spring back when lightly touched and an inserted toothpick comes out clean. Cool in the muffin tins for 15 minutes, then run a knife around the edges of each muffin and carefully remove to a cooling rack. 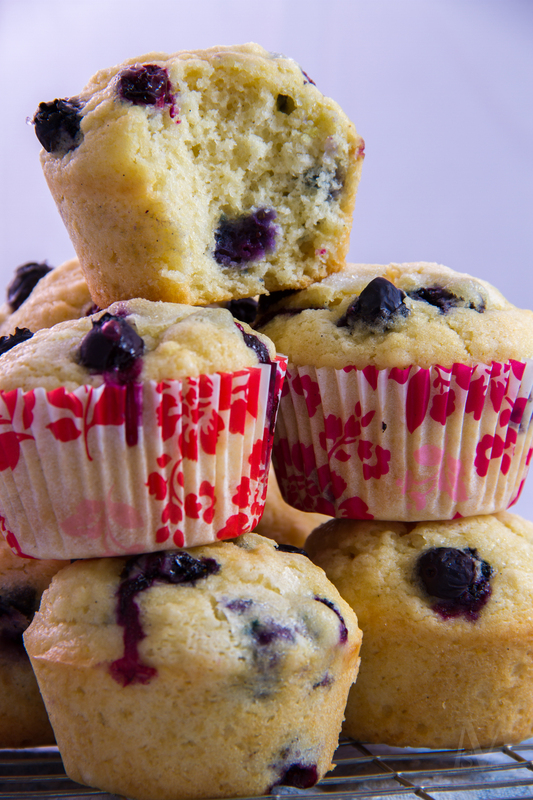 Store the muffins in an airtight container for up to 5 days.